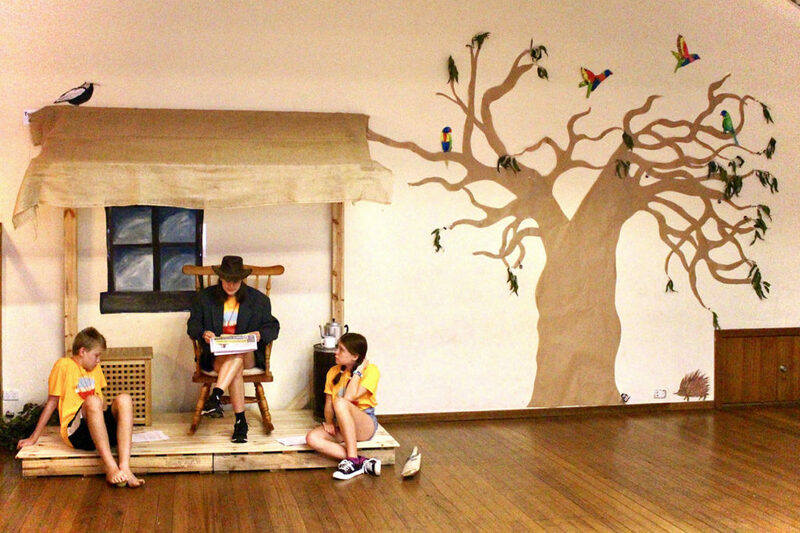 Maygan Pippard shares how our annual Kids Holiday Club went this year (14–18 January) with the theme, Lost in the Outback, and how we can continue to pray for this ministry over the coming year. You can also watch the video recap she made of the week’s happenings. Holiday Club aims to share God’s word and goodness with children about to start Kindy, all the way up to Year 6. Additionally, it aims to invite new families into the church and link them with various other ministries. I have been leading Holiday Club for three years and this year, I also helped with setting up and decorating the hall. My role throughout the week was the Kindy Mentor, which involves leading small groups and supporting other leaders to run a small group. I was also in the Clothesline of Chaos team which involved coming up with creative ways for the children to torture the leaders, and I helped to coordinate the photos and created the recap video. Each day, we started with some passive and active rego activities, such as Kelly’s Coming (Captain’s Coming) and making Aussie animal face masks. Then we would transition to worship. Everyone would sing and dance to songs, including ‘My God is So Big’ and ‘Every Move I Make’. 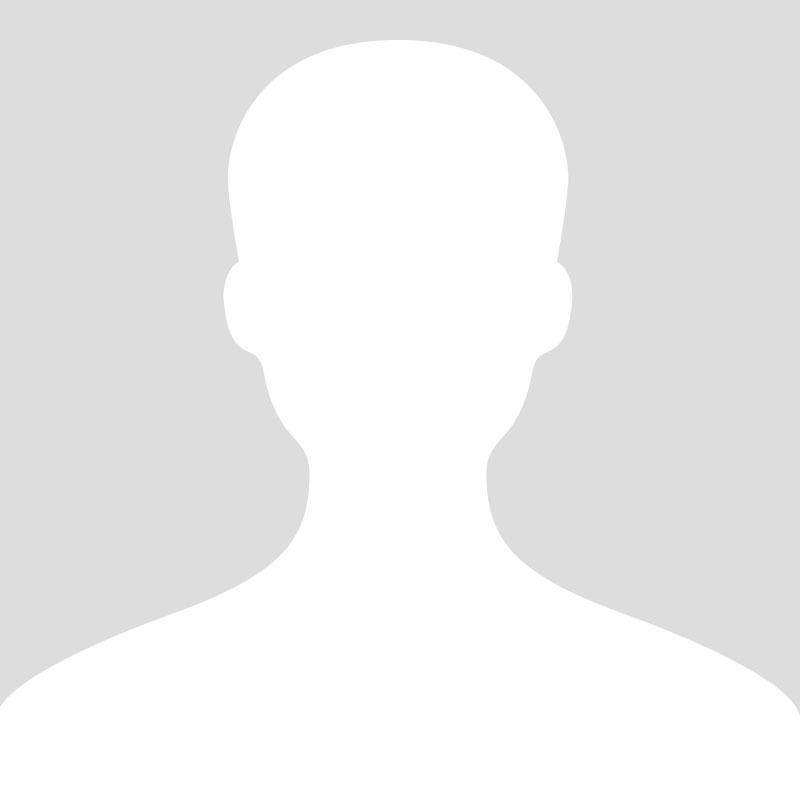 We would also sing our memory verse, Luke 15:31–32, to the tune of ‘Shotgun’ by George Ezra. After this, the children would split into K–3 and 4–6. One group would go to the Sheds (activity stations), which included the Tucker Box, Creepy Critters and Jim & Jam’s Outback Shazam. The other group would participate in an active game, such as the Great Emu War. On Thursday, it was a bit different because we all went to the park. There was an obstacle course and slip ‘n slides—this resulted in large smiles and everyone got very wet! On Friday, the children were give the Survival Outback Challenge, where they rotated through many activities to try and survive the outback. 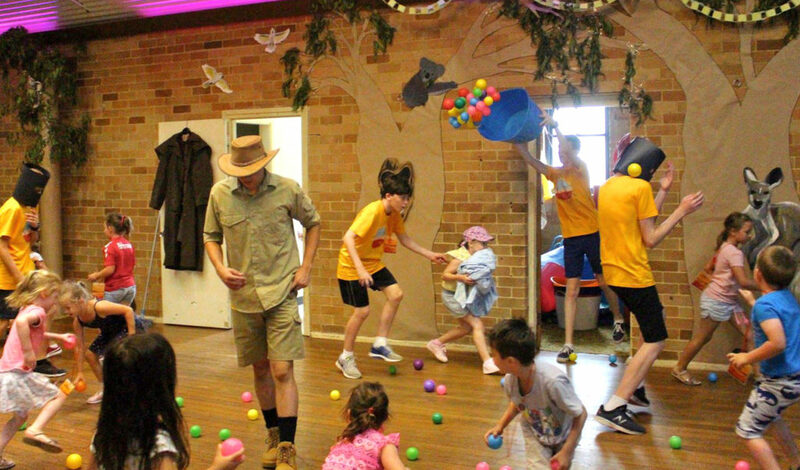 Activities like bush dancing, camouflage (face paint) and map marvels. After the activities were finished, we would all gather together to meet Sam, who got left behind by his bus in the outback. Throughout the week, Sam met different characters, such as a koala and a yowie, who gave him good and bad instructions. However, by the end of the week, Sam had followed the road and found his way back to the bus. In the drama, we also met Mr Jack and listened to him tell his next-door neighbours a story when they came to retrieve their cricket ball. The kids would come back to hear another story every day. The stories Mr Jack told were parables, such as the lost sheep, hidden treasure and the lost son. After an awesome morning tea, the children would break off into their year groups for small groups. This was a chance for the children to challenge and deepen their understanding of the parable, as well as ask any questions and pray. Then it was time for another round of activities. Each day concluded with the most well-behaved year group spinning the Clothesline of Chaos! 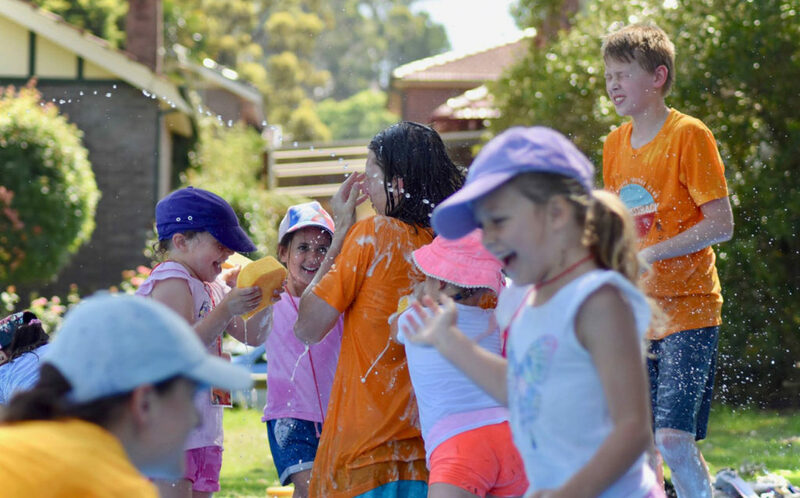 Throughout the week, this resulted in Kieren becoming a sandwich, Ben drinking onion juice, Liam and Reuben eating three dried Weetbix and getting splashed in the face with water, and James, Emma and Emily getting cream-pied in the face. I was really encouraged by all the leaders running Holiday Club. This year, there was a large team with a lot of younger leaders, so I was challenged to step up as an older role model and mentor. I felt blessed because the team was very loving and servant-hearted, which made supporting them really easy for me. Please continue to pray for Holiday Club. Give thanks that 98 children were able to hear God’s word through parables and explore their meaning. Give thanks that God watched over everyone involved in Holiday Club, so that the children, leaders and helpers could have a fun and safe time. Please pray for the many children and their families that have no connections to a church and for those still exploring Christianity. Pray that their hearts and minds would be open to the gospel and that we as a church can continue to build relationships with them. Lastly, pray for preparations and leadership for next year’s Holiday Club. Can’t wait until next January? Check out our other children’s programs that run weekly on Fridays and Sundays, filled with similar activities, teaching and heaps of fun!